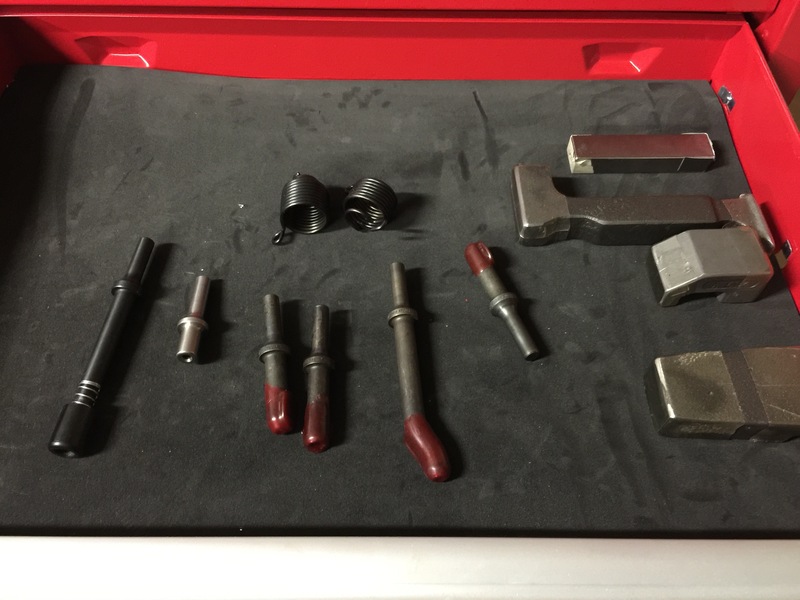 Here are the tools I am using for this project. 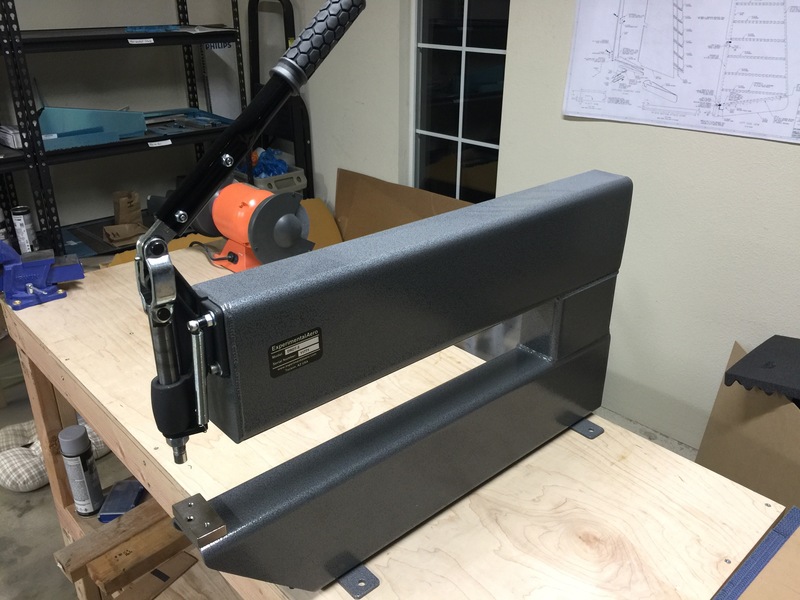 I made this back riveting plate out of some MDF and a steel plate. 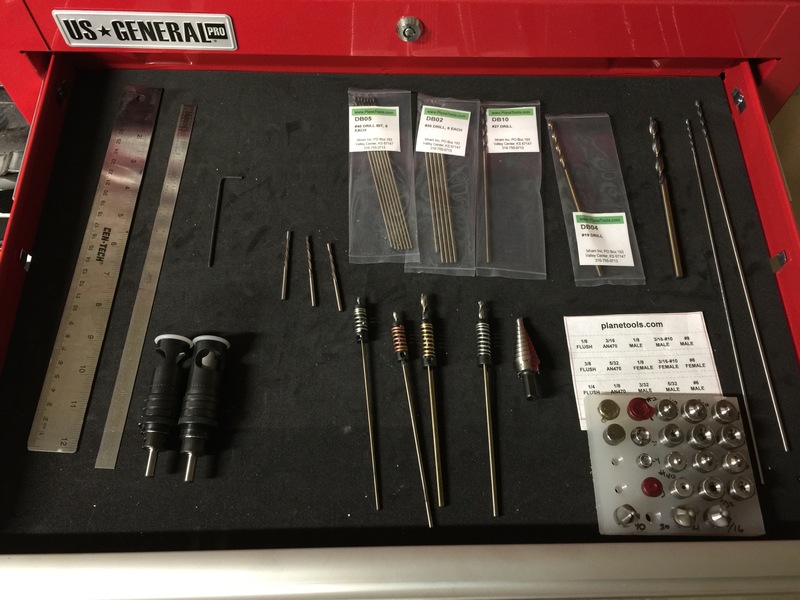 Here are the drill bits, counter sinks and dimple die sets included in the Isham Kit. I purchased a second microstop counter sink cage to keep them adjusted for different sizes. 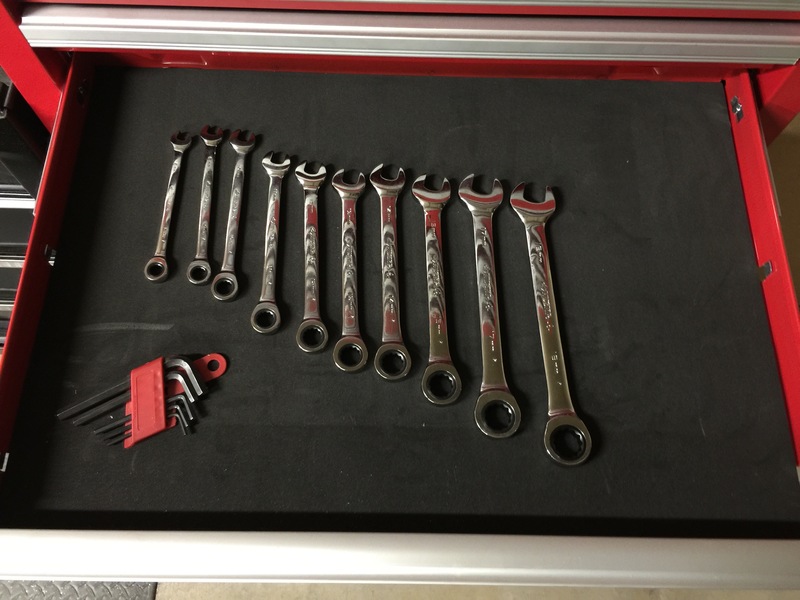 I have a standard and metric wrench set. 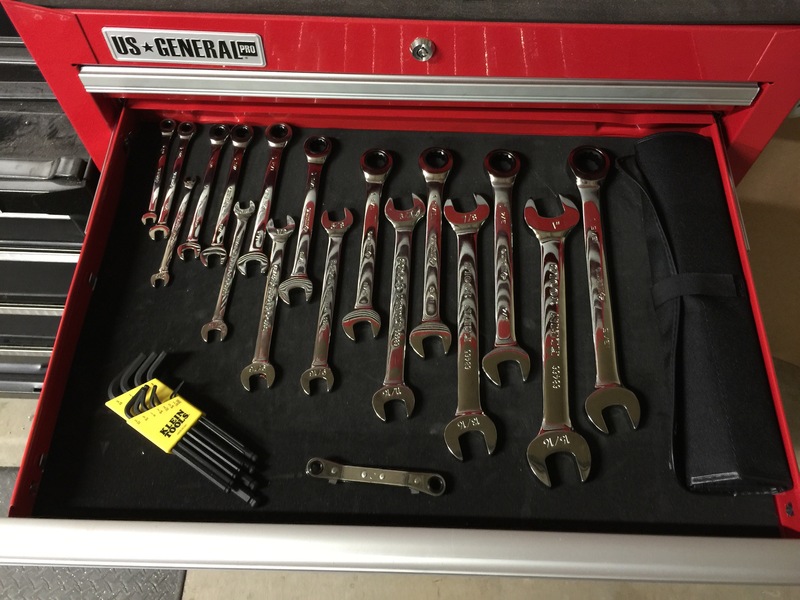 The Isham Kit add on item includes a standard set of wrenches. 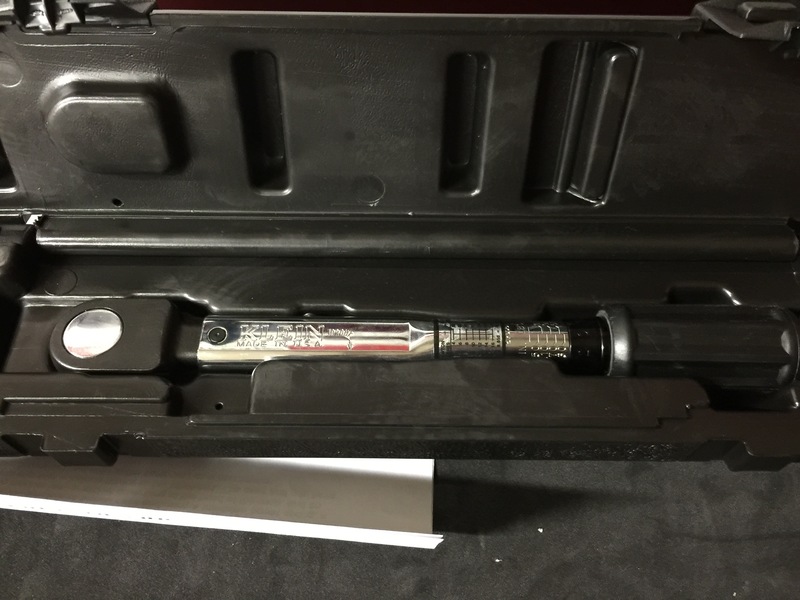 This is a calibrated torque wrench for up to 125in-lb. These rivet gun rivet drivers are included in the kit. I purchased the tungsten bar extra, best purchase I’ve made so far. Makes riveting so much easier. 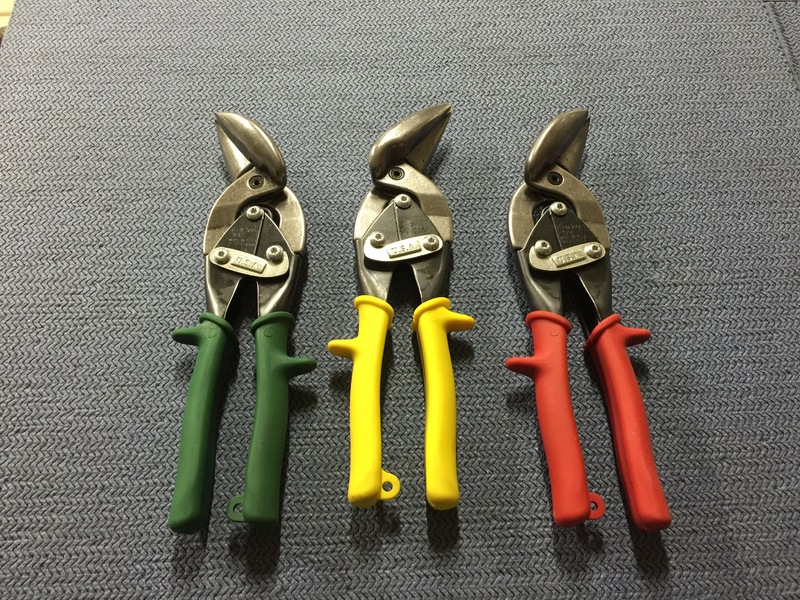 Aviation aluminum snips. These are also included in the kit. 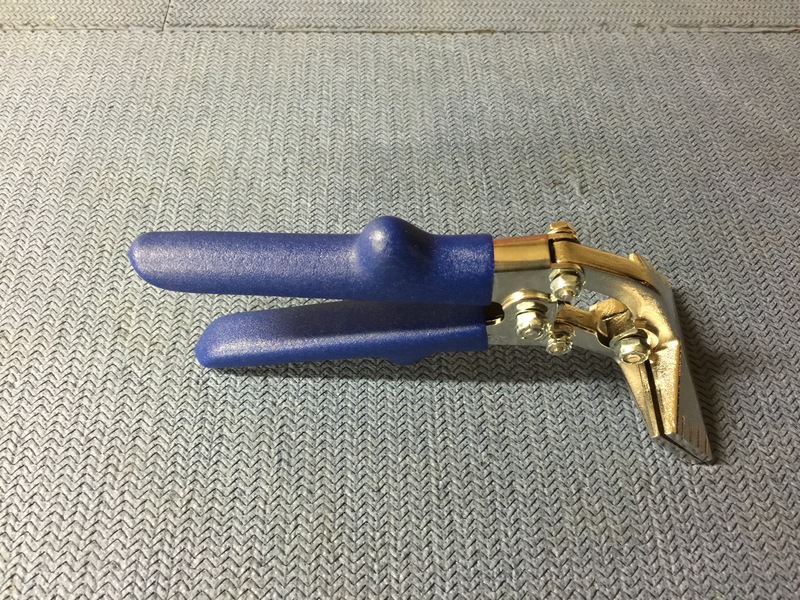 This is a hand seamer included in the kit. 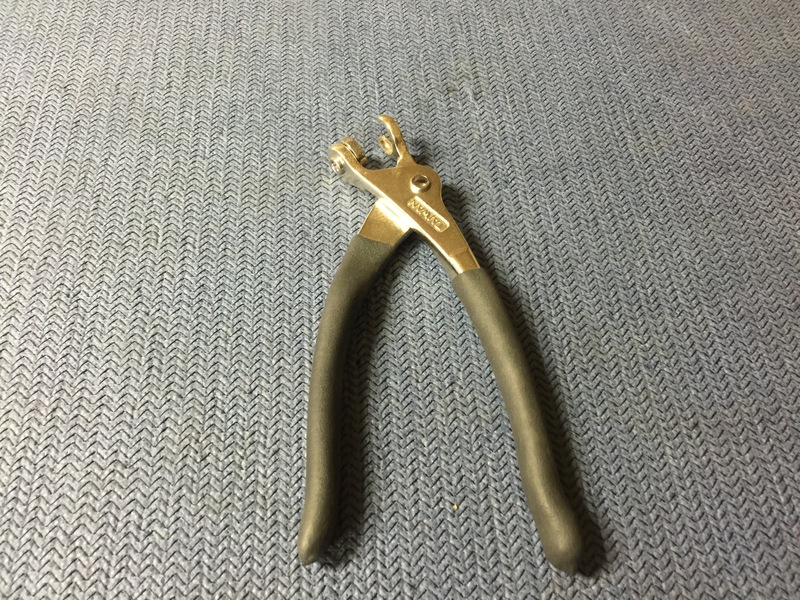 This is the cleco pliers. I’m surprised I haven’t left a hand print on it yet. 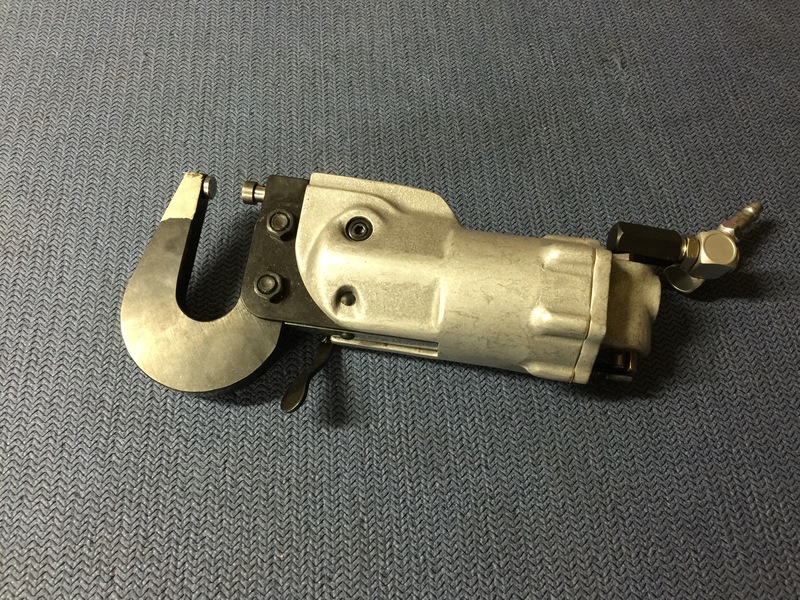 I purchased this tool from Cleveland Aircraft Tool. It’s used for creating a slight seam on overlapping skins. 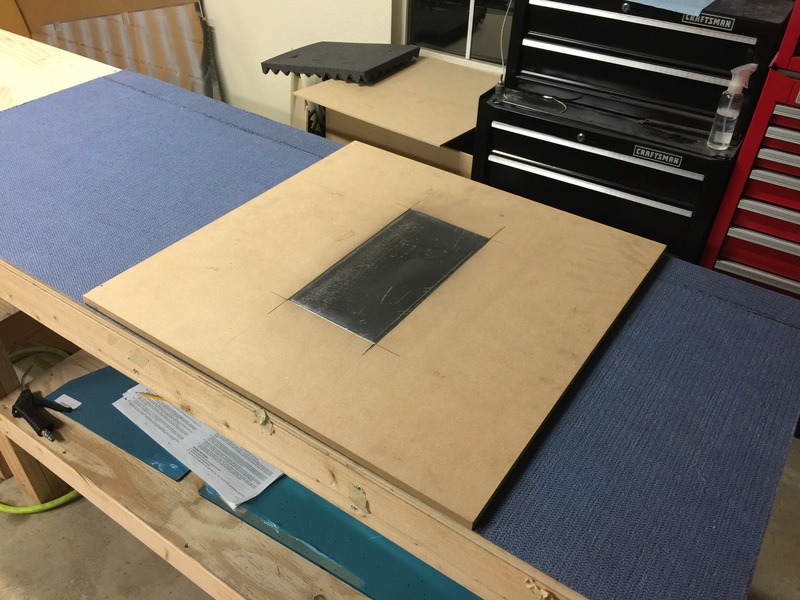 This ensures that the edge sits tight when the skins are riveted together. 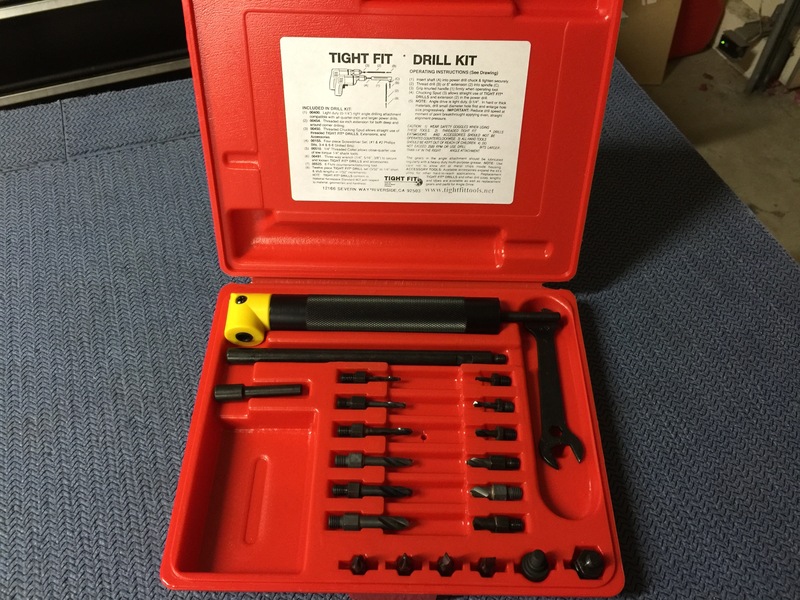 I added the tight fit angle drill kit in the Isham Kit. I’ve read many other people have used angle drills throughout their build so I figured I’d add it. 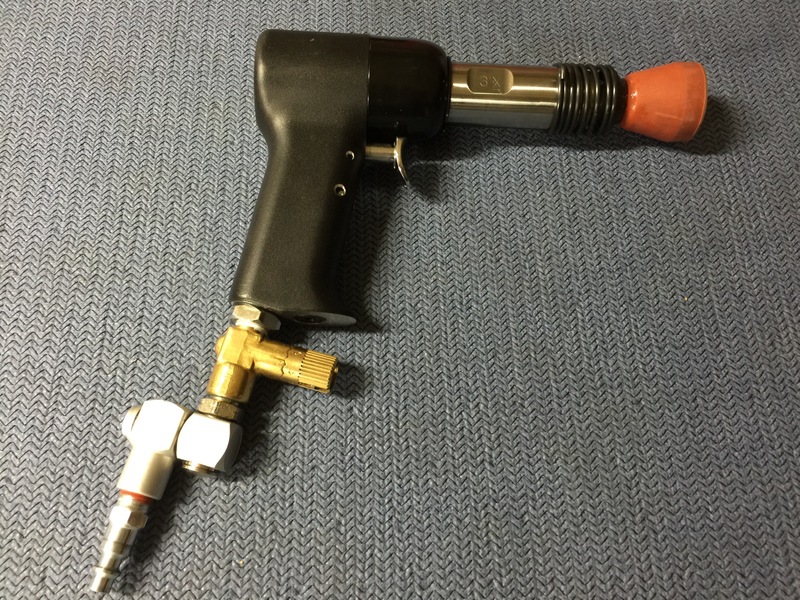 This is the 3x rivet gun included in the kit. This is the pneumatic squeezer. It’s excellent at setting perfect rivets every time. This is a Isham clone of the Sioux drill. 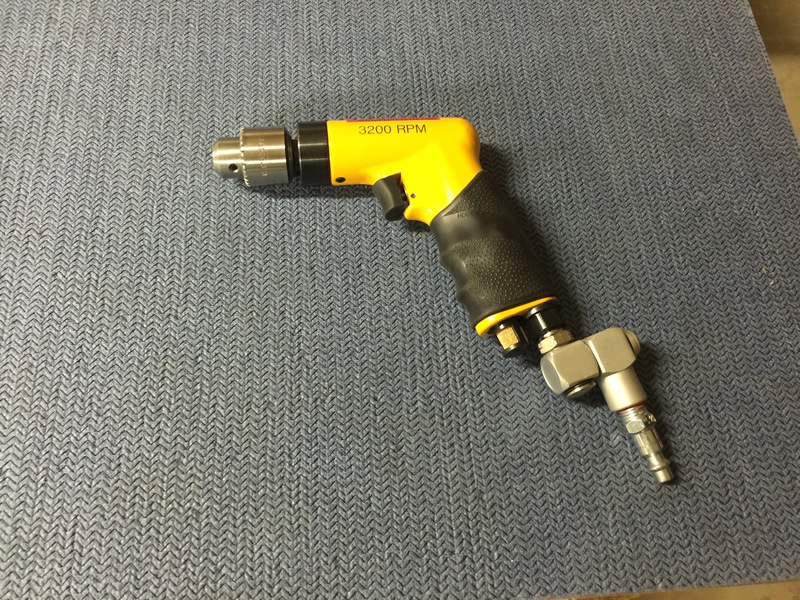 It’s a little cheaper, lower rpm, but still a very high quality drill, I highly recommend it. And this is the DRDT-2 dimpler. It’s an amazing tool and is great for setting perfect dimples and doing it quietly. 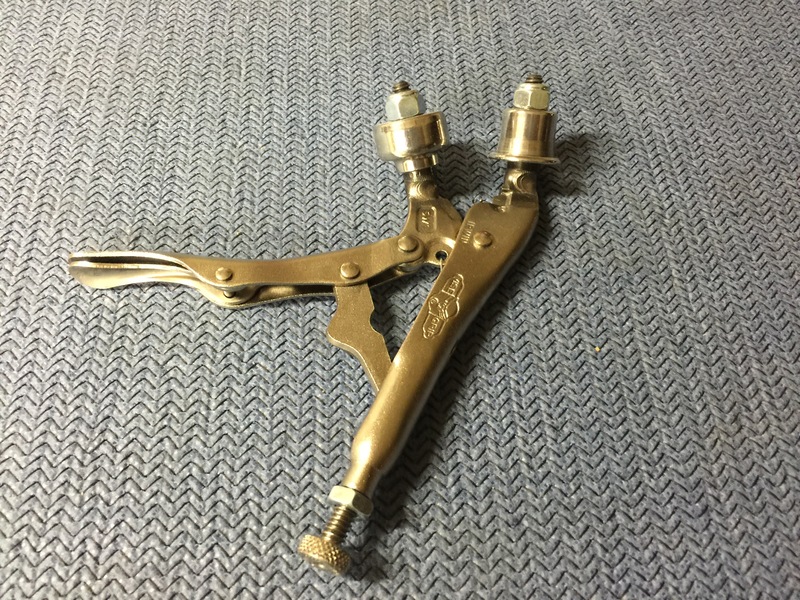 The alternative is a C-frame dimpler, it requires lining up the dimple set and striking it with a hammer to create the dimple. This operates with a lever arm.